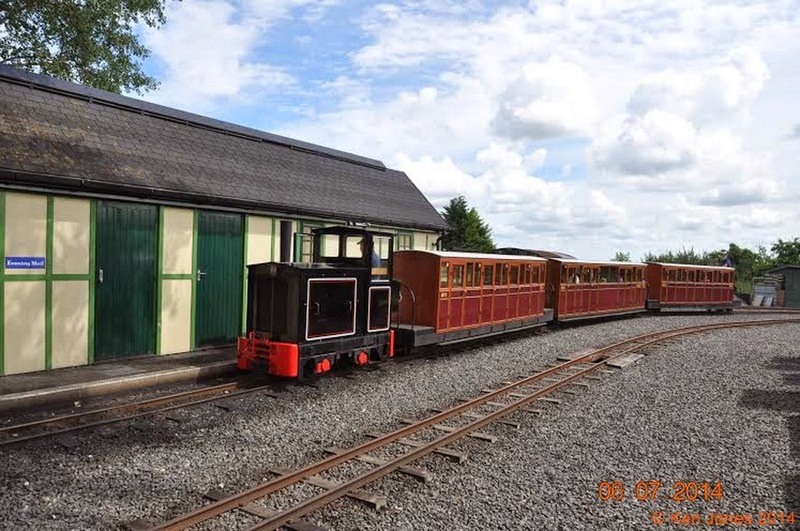 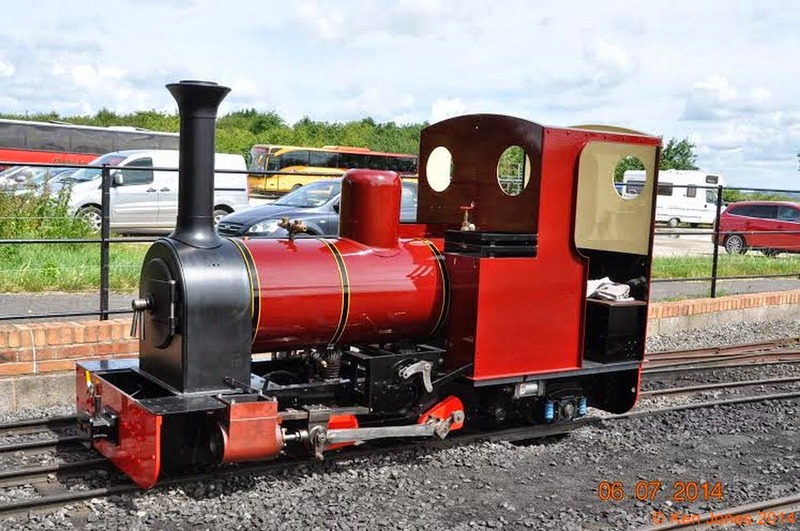 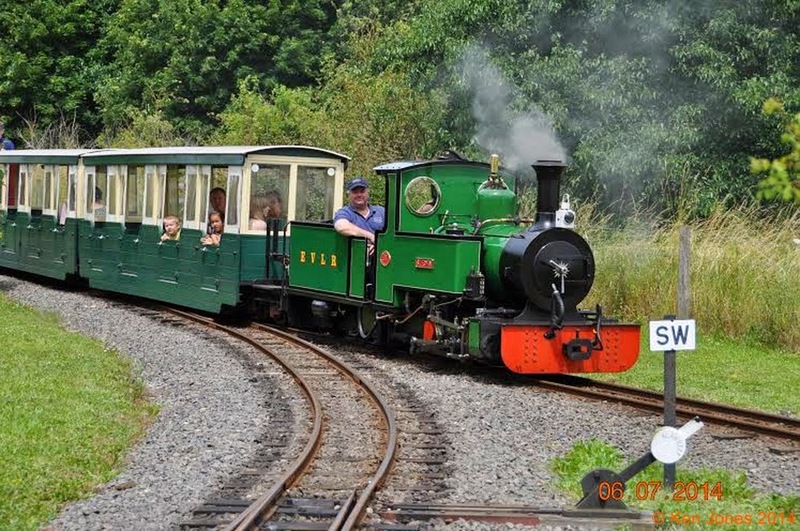 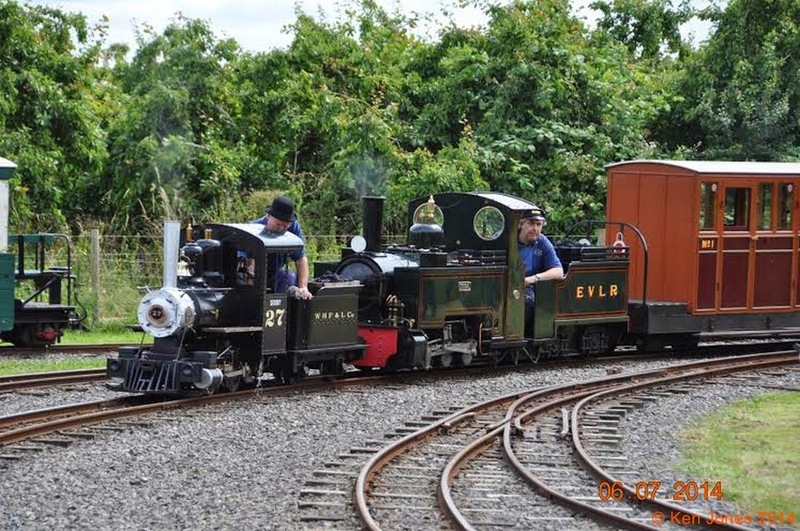 The EVLR [Evesham Vale Light Railway] held their gala days recently with both their steam locomotives "Dougal" and "St.Egwin" in steam and extra trains running. 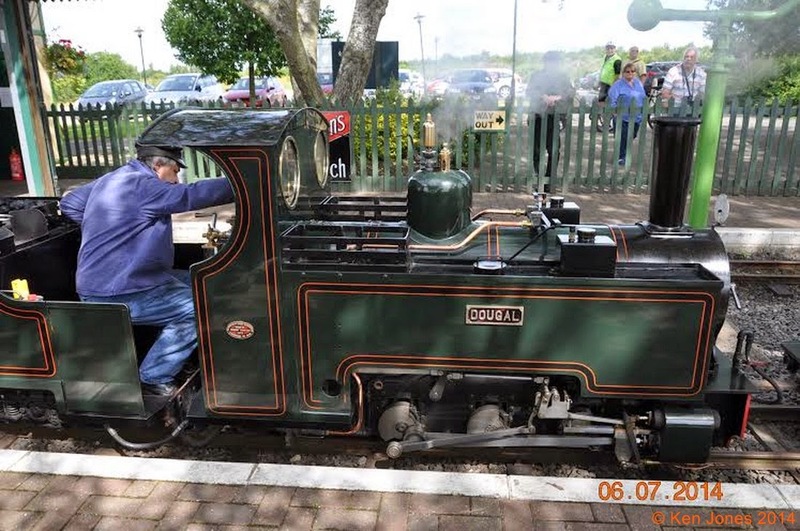 Ken Jones reports that visiting locomotive was "Soony" which ran double headed with "Dougal" and also ran on its own with one EVLR carriage. 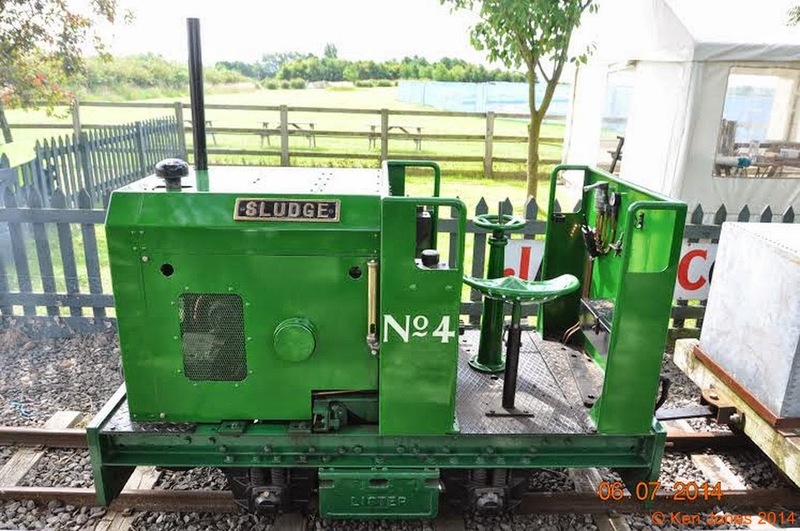 Their Lister locomotive "Sludge" ran a freight train and their other diesel "Cromwell" was also in service. 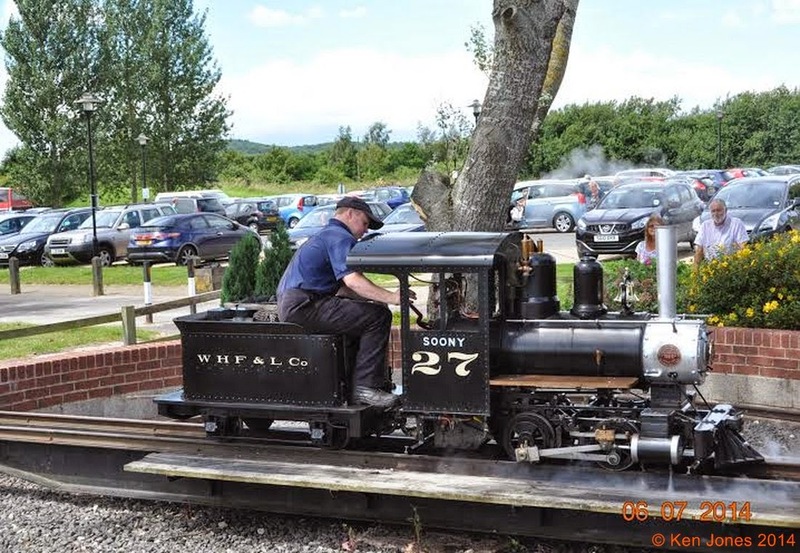 It was also a chance to see how far they have got with their new locomotive "Monty"